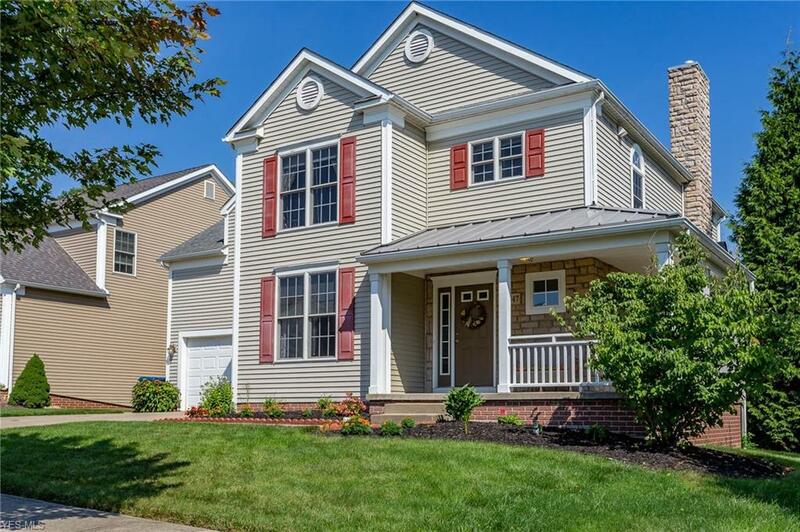 Custom built in 2006 in the highly desired Village of Glenwillow of Solon. 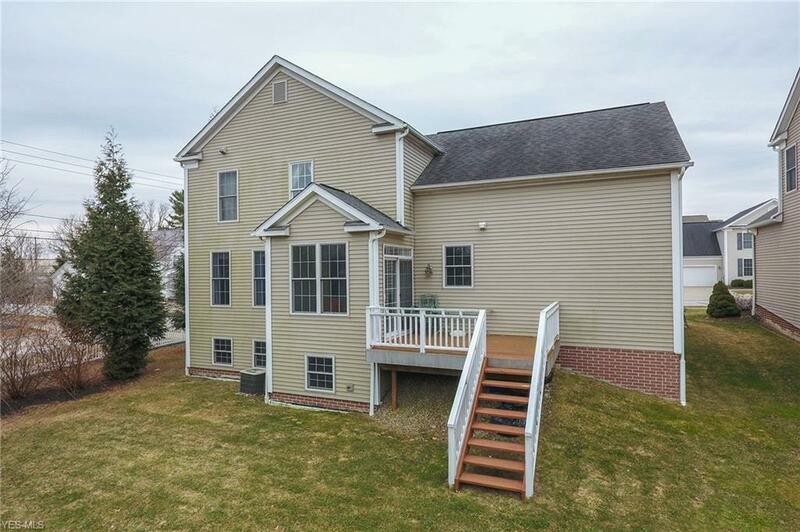 This amazing 2298sqft, 4 bedroom, 2.5 bath Colonial has a wrap-around front porch with metal roof and great curb appeal. No rear neighbors! Meticulously landscaped! A beautiful foyer greets you with gorgeous hard wood floors and arched entryways. The first floor has 9ft ceilings throughout. 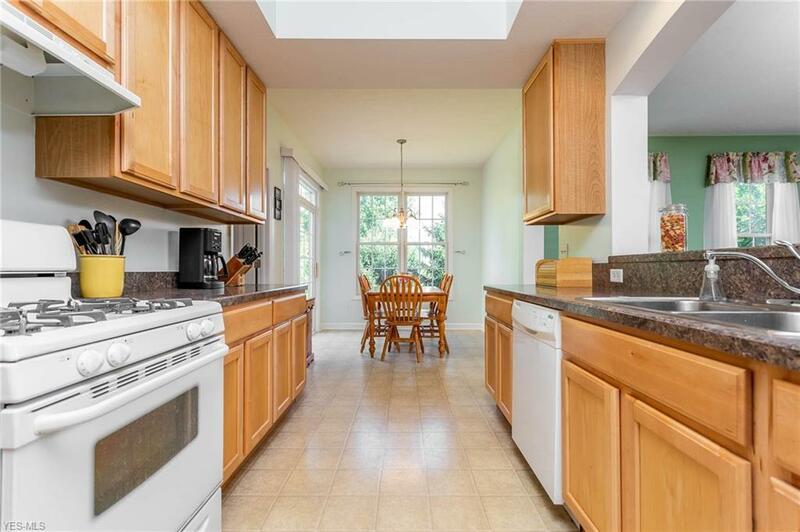 The kitchen has floor to ceiling cabinets, lots of counter space, and all appliances are included. 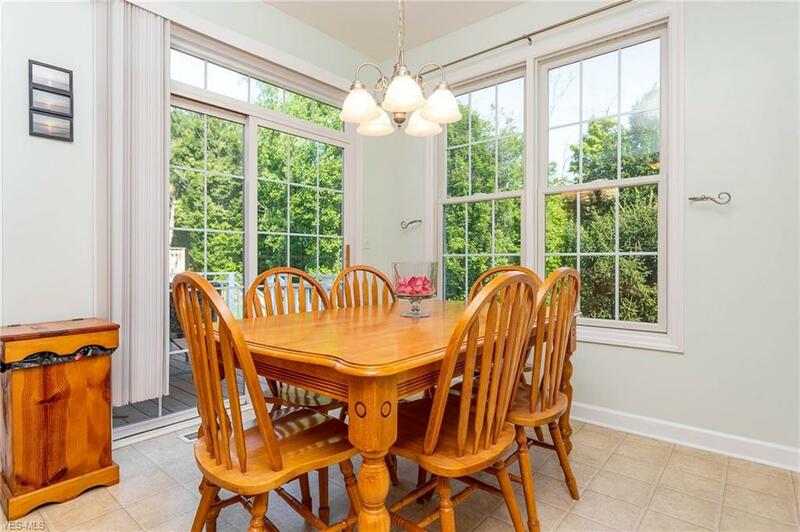 The sunny Morning Room extends off the kitchen, with full windows and overlooking the private , wooded backyard. A sliding door leads to the elevated deck for entertaining outdoors. The Living room has a gas fireplace and built-in bookshelves. The Dining Room has a tray ceiling, and is currently used as an office/family room. First floor includes a half bath and a spacious laundry room. The Master Bedroom has vaulted ceiling, master bath, and a large walk-in closet. 4 spacious bedrooms upstairs, including a 17x17 bedroom with double closets, which would make an amazing teen suite, second master or in-law suite. The partially finished basement is the selling point of this home, with 3 full-sized garden windows and 8ft ceilings, this room would make the perfect movie room! This home was designed for entertaining! Close to shopping, dining, and nearby parks, playgrounds, and bike path. Solon rated #1 schools system in Ohio. Warranty included!